There are many sites which have the particularity of requiring mobile and in great quantities lifting equipments. When all the options of installation were exhausted, gantry PADC appears as an ideal solution. Lightness and robustness are the advantages of aluminium gantry structure. The PADC is mounted on caster wheels for indoor or outdoor. It is movable in load on smooth and clean ground. 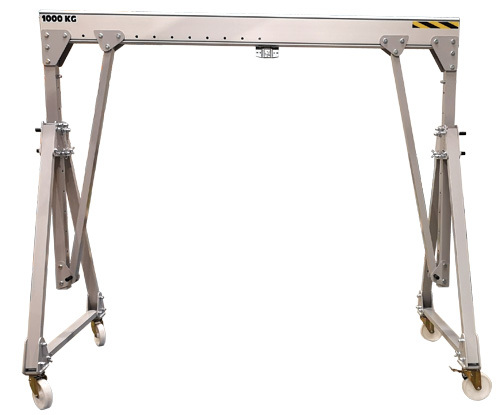 discover the video about our folding aluminium gantry cranes, movable under load.